Pakistani liberal to American panel "You are going to get me killed"
“You are going to get me killed…I have got my flight back home,” stated Pakistani religious freedom advocate Arafat Mazhar to an audience questioner at an April 20 Georgetown University conference recently made available online. His jarring response emphasized that the conference’s examination of Islamic blasphemy norms in Pakistan and the world beyond was no mere academic matter but involves global, often lethal, threats to freedom of speech and religion. Mazhar’s statement occurred during the conference’s afternoon panel in an exchange with an audience member from Afghanistan studying in America. Mazhar emphasized that his organization Engage Pakistan currently only supports reforming the Islamic Republic of Pakistan’s notorious blasphemy laws with theological arguments such that these laws would not have a divine status. Any abolition of these laws, a proposition that has had deadly consequences for Pakistan’s Punjab provincial governor Salman Taseer and Federal Minister for Minority Affairs Shahbaz Bhatti, would be a much longer term goal. Mazhar responded that empirical evidence contradicted such arguments previously made in favor of Pakistan’s blasphemy laws. From Pakistan’s 1947 independence to the 1986 completion of these laws, Islamic blasphemy accusations caused only four extrajudicial killings, but after 1986 these killings increased by 2,500 percent. 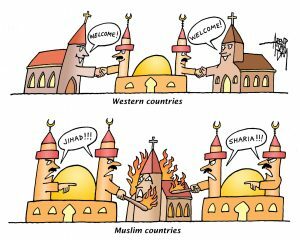 His fellow panelist, University of Notre Dame professor Daniel Philpott, noted that Pew studies had found that blasphemy laws had a perverse “pedagogical effect” in inciting hostility towards the protected faith’s opponents real or imagined. Ambassador Alberto Fernandez, a retired American career diplomat, concurred on the panel that blasphemy laws are “like handing a loaded gun” to people. He cited a 2005 Sudan case where the government had dropped charges of insulting religion against a newspaper editor, but outraged mobs still demanded retribution. Months later his beheaded corpse turned up after a kidnapping. Former Pakistani parliamentarian and human rights advocate Farahnaz Ispahani likewise stated during the earlier lunch panel that blasphemy laws in her country “enabled a vigilante culture.” Her fellow panelist, Mazhar’s Engage Pakistan colleague Ayesha Iftikhar, stated that there “you can become a hero just because you went after someone for blasphemy.” Ispahani described how blasphemy laws abetted the “purification of Pakistan” such that only three percent of Pakistan’s population now belongs to non-Sunni Muslim religious minorities, down from 23 percent in 1947. Ispahani noted that blasphemy’s culture of incitement extended to popular Pakistani television programs watched by millions nationwide. Here Muslim clerics had called for the killing of Ahmadiyya, a small Muslim sect deemed heretical by all other Muslim denominations. Her fellow panelist, Imam Mohamed Magid, and Asma Uddin, an American Muslim religious freedom advocate and lawyer who had appeared on the morning panel, had both referenced public order justifications for Islamic blasphemy laws. Yet such considerations apparently only operated in one direction, Ispahani observed, protecting the sensibilities of Muslims for fear of their possible violent reactions while allowing these very same Muslims uninhibited hate. 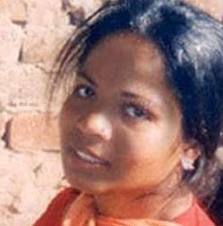 Asia Bibi faces death by hanging in Pakistan for “blasphemy” against Islam. Appearing with Uddin, Hudson Institute religious freedom expert Nina Shea analyzed Islamic blasphemy law threats to Muslims and non-Muslims alike. “These blasphemy laws imprison Muslims in a suffocating chamber of blind dogmatism and conformity and extremists are given the last word” while Muslim dissidents and reformers face dangers including death. “The West’s response has been less than inspiring, the West has tended to indulge these laws” by encompassing their content within hate speech laws, as five convictions in France of actress Brigette Bardot indicate. In the United States, “Al Capone-like underlying issues” brought a year-long prison sentence to the filmmaker who violated his parole terms while producing Innocence of Muslims, an internet film that enraged Muslims worldwide. The controversial Magid, past president of the Muslim Brotherhood (MB)-linked Islamic Society of North America (ISNA), tried to present a benign understanding of his faith. Like afternoon panelist Salam Al-Marayati, head of the equally MB-linked Muslim Public Affairs Council (MPAC), Magid cited the oft-invoked Quran 2:256 (“no compulsion…in the religion”) and the Medina Charter. Recently celebrated in the Marrakesh Declaration, an attempt to justify religious freedom on the basis of Islamic sources, this charter of Islam’s prophet Muhammad supposedly “created a pluralistic society” according to Magid. Magid emphasized Islamic orthodoxy because the “word reform itself triggers negative thoughts in Muslims.” The best approach for winning Muslim hearts and minds is therefore to “take it back to the Prophet. Not reforming, reinforcing the original framework,” he stated, as the “message of Islam is spread through compassion.” He argued that Muhammad did not use force when opponents hurled insults and trash at him or Muslims apostatized. Fernandez’s nuanced presentation evoked past civil war-like descriptions of A Battle for the Soul of Islam between tolerant and intolerant elements, as the American Muslim Zuhdi Jasser has written. Fernandez rightfully criticized the Marrakesh Declaration as a “little bit too kumbaya, too injurious of the historical record, but it is a step in the right direction, because it seeks to address this issue of authenticity and of going back to the sources.” He also noted that various Muslim scholars have explained to him that Quran 2:256 is abrogated and/or actually means something very different from what casual readers might think at first glance. Uddin’s unsuccessful attempt in conjunction with Indonesian lawyers to overturn Indonesia’s blasphemy laws also indicates the limits of Islamic tolerance here. Amidst the conference’s often depressing discussion of faith and fanaticism, a brief comment by Ispahani gave a glimpse of what any rational faith in a loving, just God should mean. Her recollection of the hajj pilgrimage to Mecca in Saudi Arabia showed that Muslims along with others are searching for this God unknown to those who mix bloodshed with belief. “You can’t even imagine as a Muslim what you feel, the peace, the purity, the presence,” she stated. wow. The whole post could not be further from the truth. Is this what you guys call journalism? If you were present in there you would know what I meant in my comments. No – I am sorry but I have no death threat looming on me. Maybe now that you have completely misrepresented me and what I stand for and what our organization stands for some people might think that this is in fact who I am. Also Imam Magid is awesome, Marakkesh Declaration is one of the best moves forward the muslim communities have made AND we definitely don’t need uneducated platforms like yours to try and help. Don’t try and project your ideals to the world and make it in your ‘image’. Also – no I don’t identify myself as a liberal so don’t try and push that label on me. Look at yourselves. You guys are not working for freedom – You guys are an imperial project. Either you are too incompetent too know it or too arrogant. I don’t know which one is worse. FYI: If I were in the US I would definitely sue you for defamation and putting my life at risk by completely misrepresenting me. Our journalist was present and states that his notes and comments are accurate. I will forward your comments to him and the two of you can work this out. As for “not working for freedom” —What sir are you talking about? Working for the rights of minority religions in the Middle East is “imperialistic?” Being against blasphemy laws is anti-freedom? Where did you get this. Calm down and try to understand what organization you are talking about before wild comments. Also … If you are not a “liberal” on views of religious liberty does that mean you now support public executions of Christians accused of blasphemy? If you want me to change the title and refer to you as a conservative let me know and I will do that at once. Could you please be more specific how exactly you were misrepresented? I have no idea what you are talking about. The article links to a video of the panel for all to see. They can judge whether there is any misrepresentation.